Steph and I were just talking today about how when we were younger we each had, at one point or another, a few different inanimate objects that we turned into special little loves that we would take care of. For example, one thing she got in 2nd grade was a gift from a friend. It was a small pompom decorated to look like a duck. A few girls each got one and were to take care of them as if they were a pet! Undoubtedly the greatest thing about these situations was that we were being creative and using our imaginations! We had creatures that we loved and cherished. Things that were our responsibility. And the fun came from taking care of them and creating entire worlds for them! 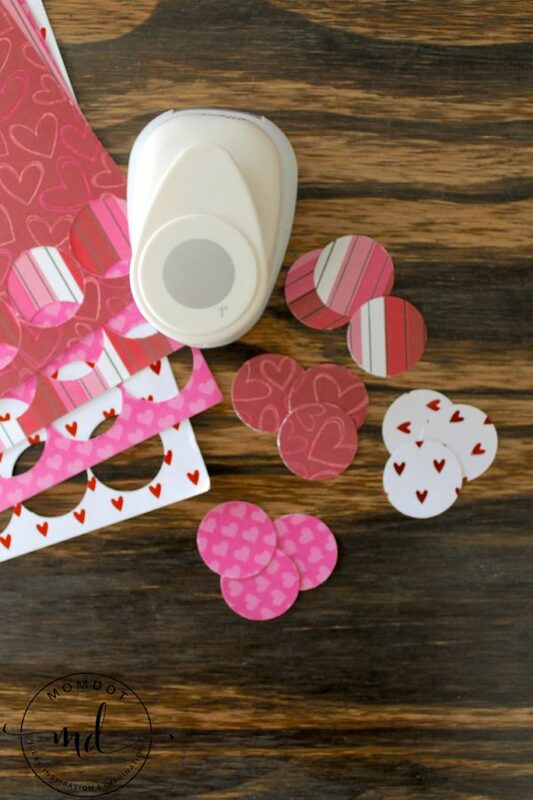 We talked about that after making our last free printable valentine, the lovebug. It’s such a fun little valentine! It’s not food, not just a card you toss away, it’s a cute little bug that you can keep and take care of! Picture the fun your child and their friends will have sharing lovebugs, creating lives, making up stories, and inventing new things for them all the time. Anything that gets my kids off their electronics gets me all sorts of excited and this is the perfect thing for that! And don’t worry, these have already been tested out by a bunch of cute little girls (Steph’s nieces to be exact). In fact the squeals of excitement gave us a good indication that these lovebugs were a hit right from the beginning! 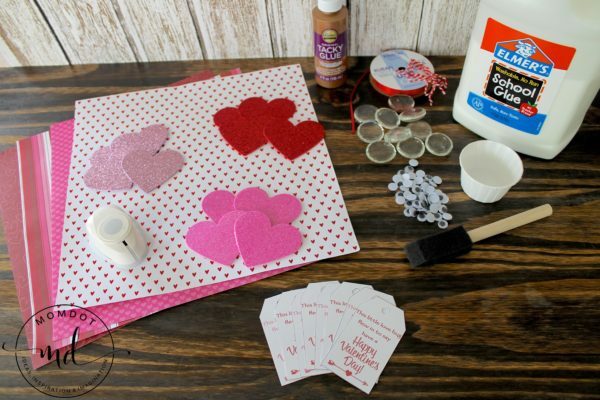 So let me give you a few quick steps on how you and your children can create the lovebugs. And I’ll also share the free printable valentine for you to attach as well! First, print off the Lovebug printable valentine that you can find in PDF form right here. Helpful hint: Everyone has different printers, settings, preferences, etc. but I’ve tried to make my printables work for what the majority of people are using as their settings at home. Which means you shouldn’t need to do anything special when you print. Just open the PDF and click print. If you find edges and words are getting cut off, double check that your settings are no bigger than 100%. You might also want to try clicking the “fit to page” option. Third, cut out circles using your different patterned paper. Fourth, dip the foam brush into a small cup filled with white Elmer’s glue. Spread a small amount of glue onto the glass gems. Next, add on the patterned paper circles. Make sure to adhere the pattern side to the gem! You’ll be looking through the gem to see the paper on the finished product. 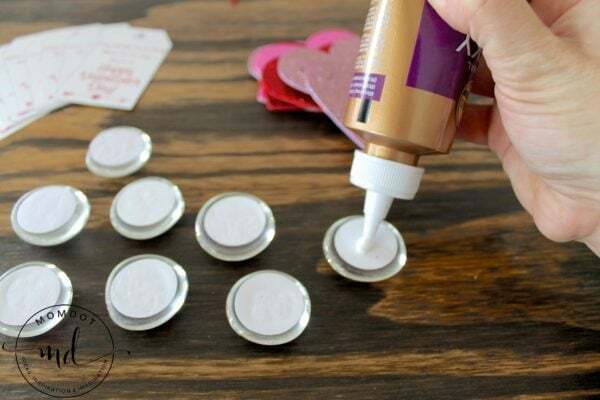 Then, add a dot of tacky glue to the paper circles. Next, flip your glass gem over and press onto the foam heart. 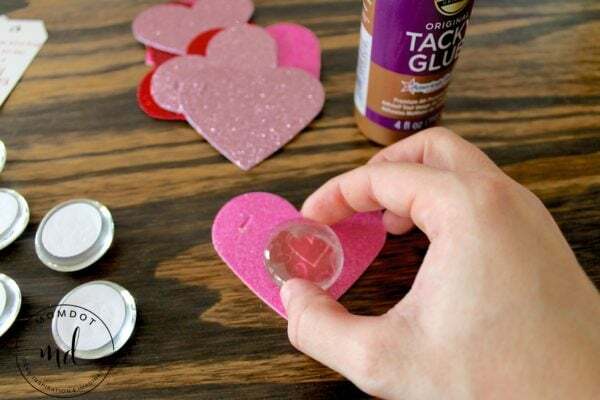 Use a small dot of glue to secure the googly eyes to the glass gem. Then, cut out the printable valentine. Use a hole punch to make a hole in the top. Use scissors to make a small slit in the foam heart. 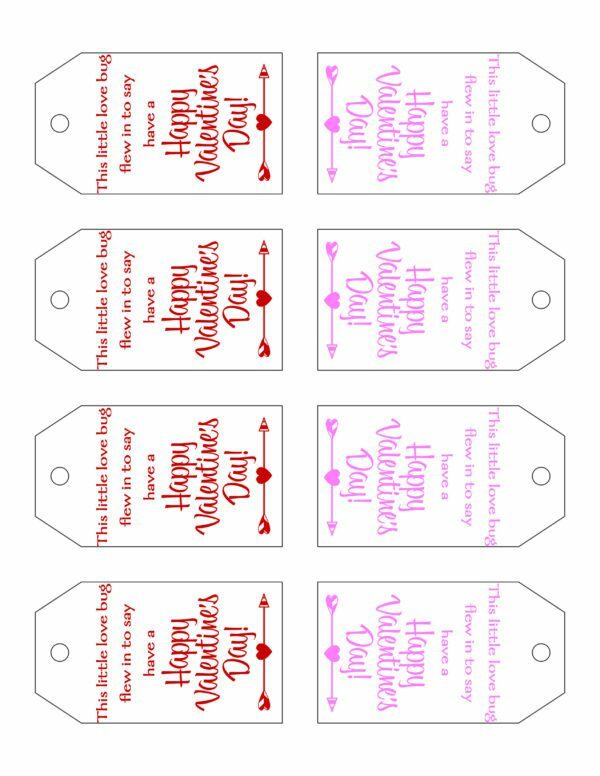 Finally, use ribbon or bakers twine to tie the printable tag to the lovebug. And that’s it. Clearly, this a project that we’re sure your kids will love to make and that they’ll be able to do all on their own (obviously with a little supervision during scissor use)! So, did you ever have an imaginary pet, creature, or friend when you were young? Or will this lovebug be your first? Let us know in the comments below!